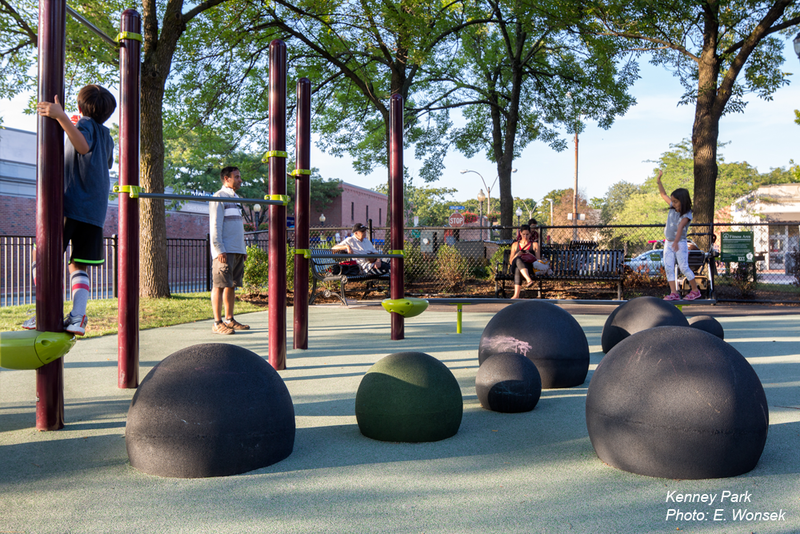 CBA's design for the renovation of this prominent corner park in Somerville's Davis Square breathed new life and brought many more visitors into the space. 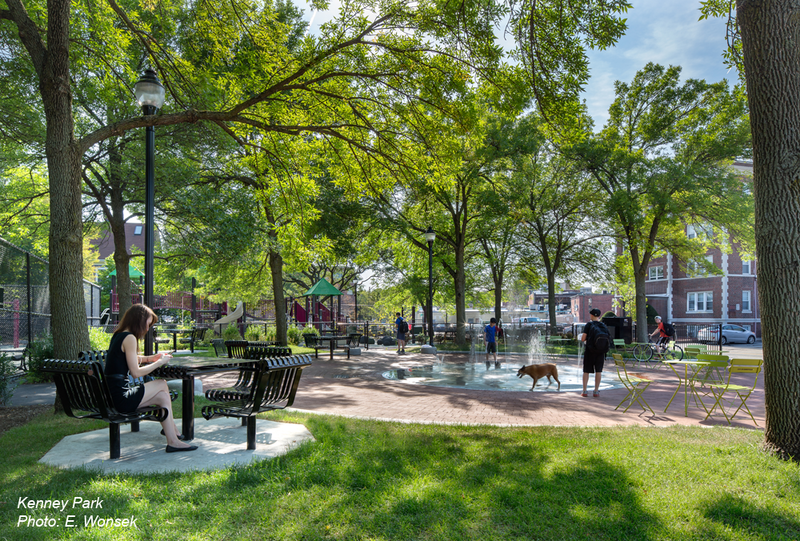 The new design made the corner brick plaza universally accessible and furnished it with a combination of permanent and movable tables and chairs, and lighted bollards. The central fountain features LED lighting, a custom circular trench drain, a flush-mounted foot activator, and anchor sockets for use in the off season for temporary public art. 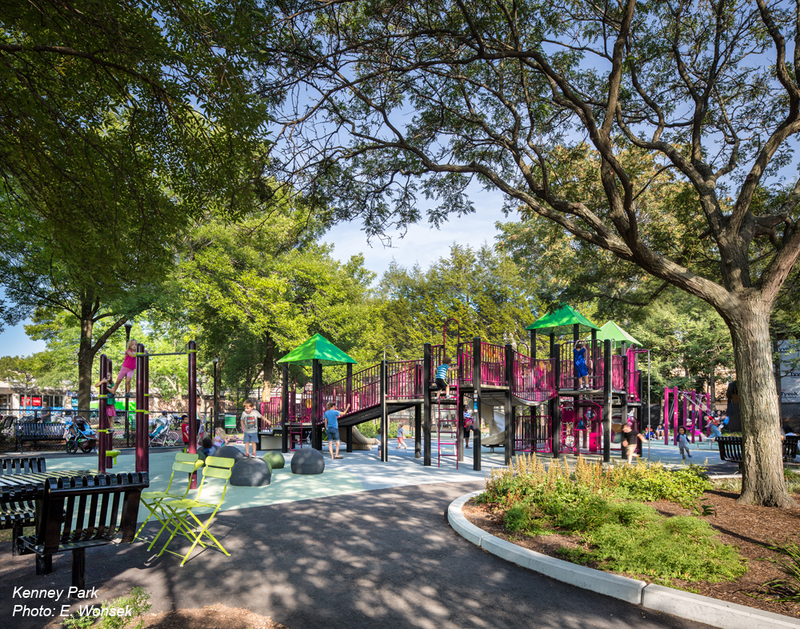 The playground was refurbished and expanded with new preschool structures as well as fitness and balance equipment for all ages, the basketball court was resurfaced, and new plantings were added throughout the site.